Our CTP-4™ Verbal Reasoning & Vocabulary, Verbal Analogies and Quantitative Comparisons/Reasoning Workbooks provide extensive practice for students so they can become accustomed to verbal analogies (grades K-5+*), vocabulary (grades 3-5) and quantitative comparison/reasoning questions (Level 3), including those found on the CTP-4™ assessments. Exercises, tips, and answer explanations for all question types included in the CTP-4™ Verbal Reasoning section: Analogical Reasoning, Categorical Reasoning, and Logical/Deductive Reasoning. 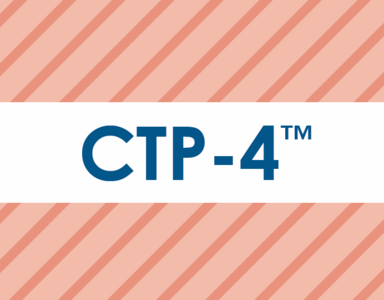 Exercises, tips, and answer explanations for all question types included in the CTP-4™ Vocabulary section: Word Meanings (Definition/Synonym), Precision, and Application (Definition/Synonym). Our Verbal Analogies and Quantitative Comparisons/Reasoning Workbooks contain questions along with tips, strategies, and explanations that will help students solve even the toughest analogy questions. Also included is workspace designed to reinforce understanding of the most common analogy relationships. By using our Verbal Analogies and Quantitative Comparisons/Reasoning Workbooks, students can increase confidence and develop problem-solving techniques to promote a stronger understanding of analogies, an optimum test outcome with analogy-type questions, as well as general enrichment.